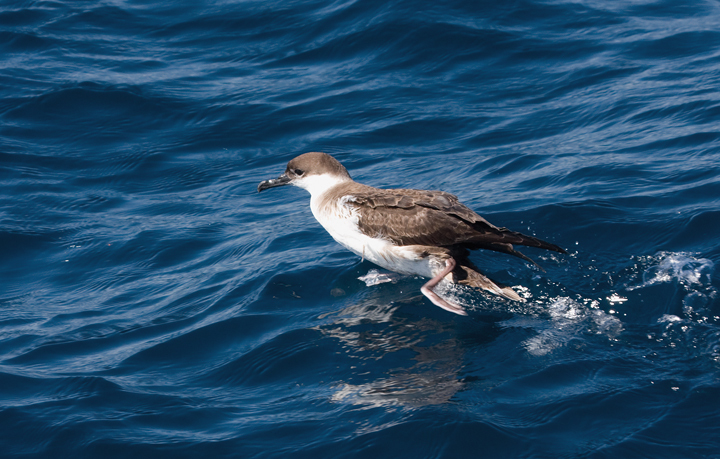 A productive August pelagic trip to Maryland and Delaware waters. 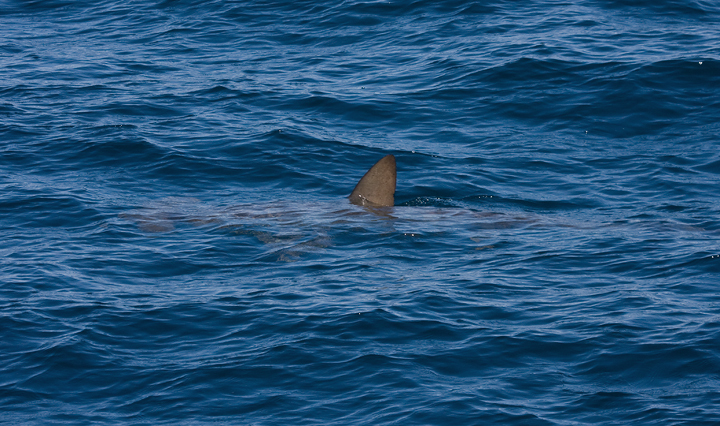 Last updated: 8/17/2009. 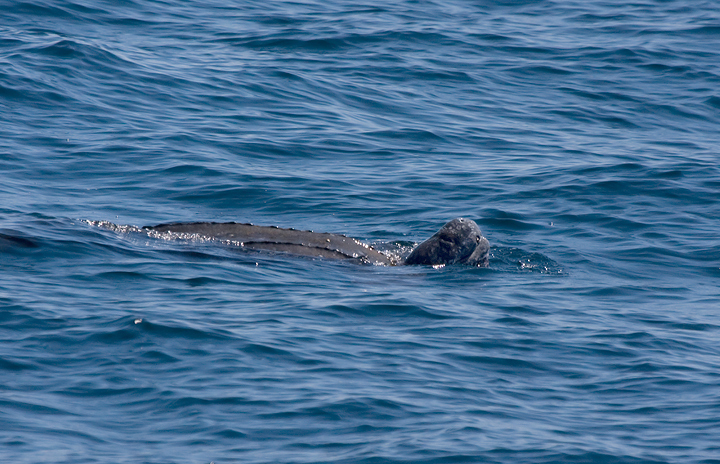 Above and below: One of four Atlantic Leatherback Sea Turtles (Dermochelys coriacea) we observed in Maryland waters near Baltimore Canyon (8/16/2009). 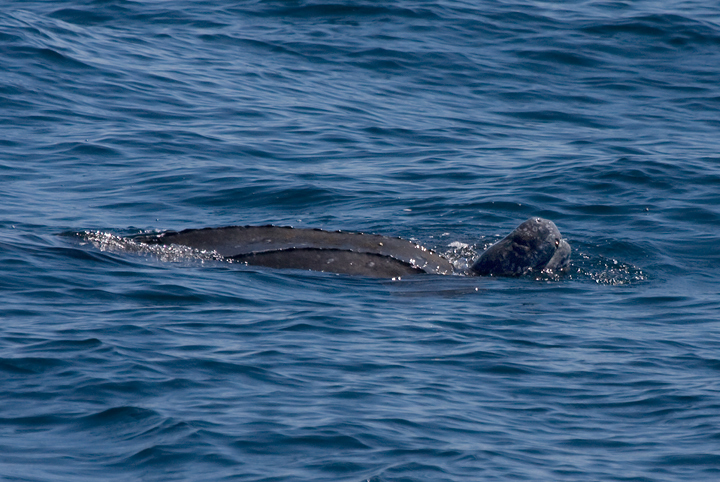 This was a dream sighting for many of us. 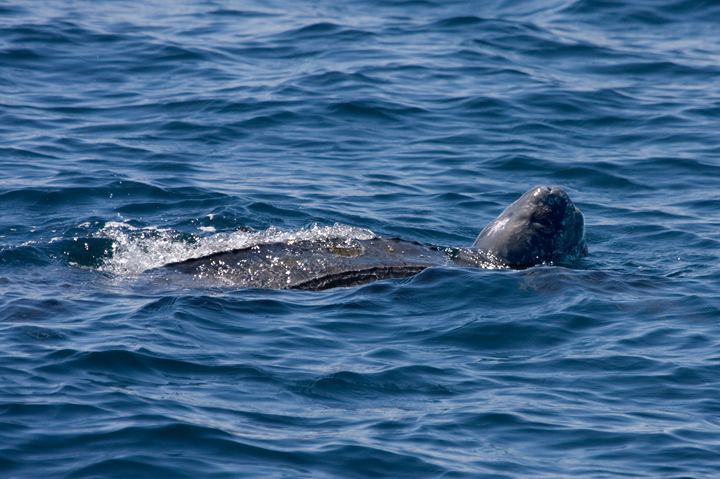 Leatherbacks are the world's largest turtle species--they can grow to 2 meters long and weigh over 2,000 pounds. 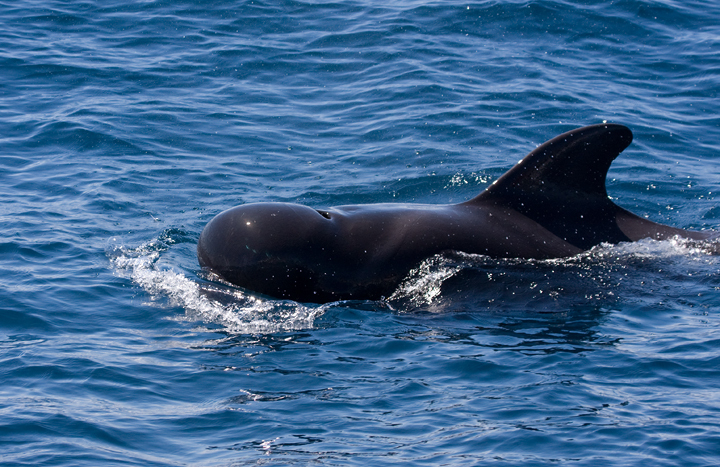 It is the sole living representative from an ancient lineage dating back 100 million years. 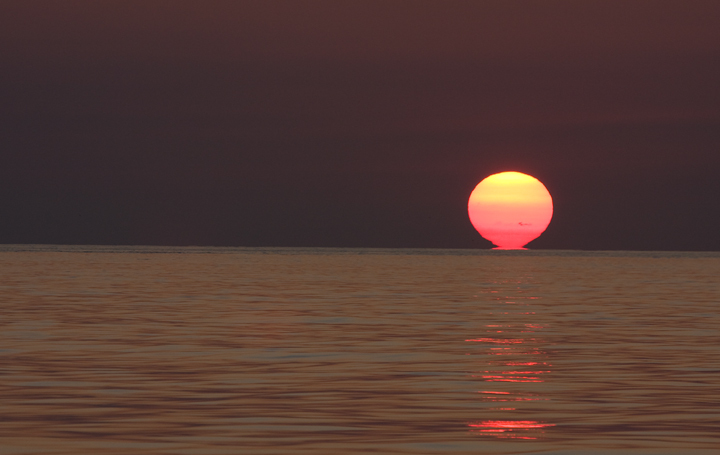 Simply awesome. 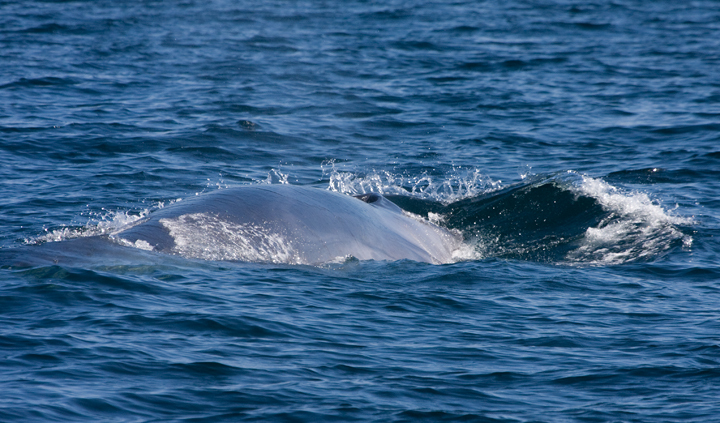 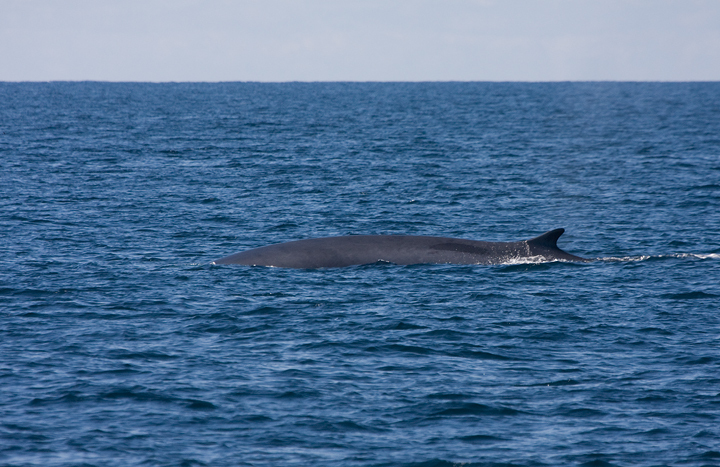 Below: Fin Whales, the second largest animal that has ever lived (after Blue Whale), in Maryland waters (8/16/2009). 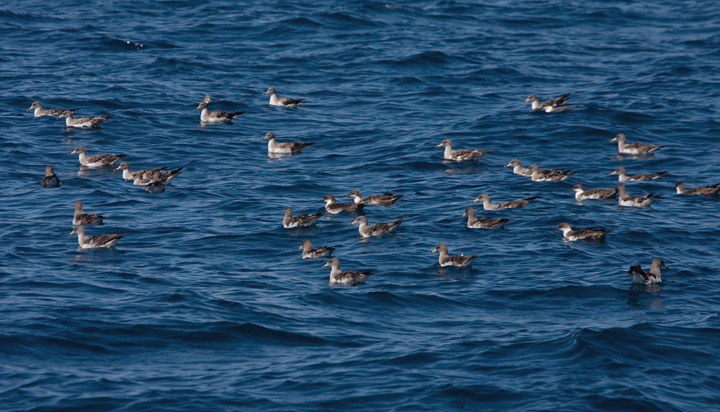 Below: Several of the 300+ Cory's Shearwaters we observed in Maryland waters (8/16/2009). 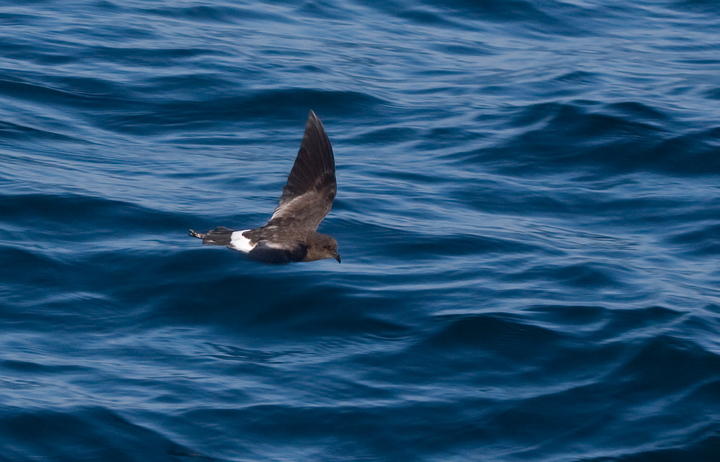 The underwing pattern of the flying individual confirms it is of the expected Atlantic (borealis) population. 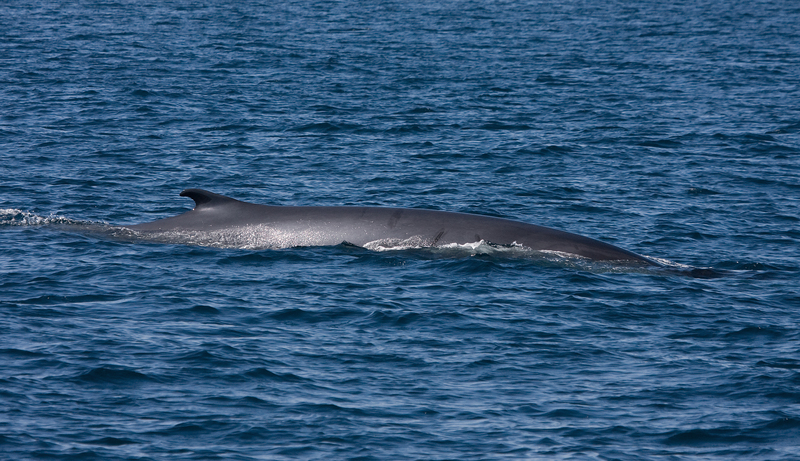 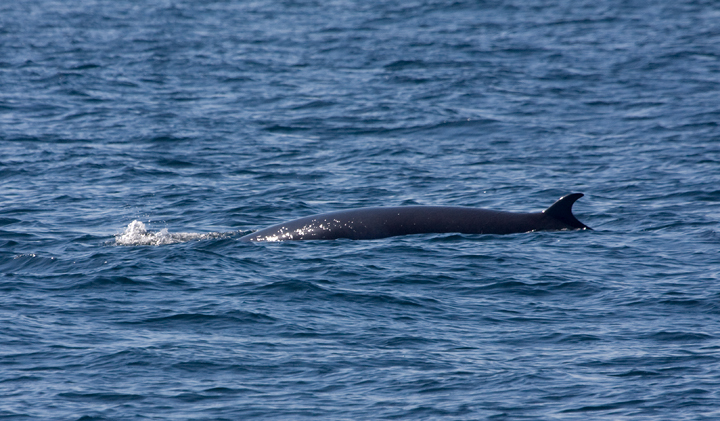 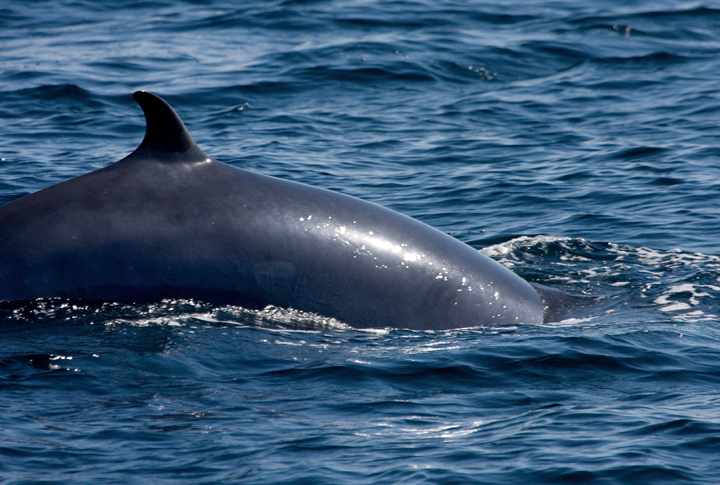 Below: Close-up sightings of Minke Whales - my first - were a major highlight of the trip (Maryland, 8/16/2009). 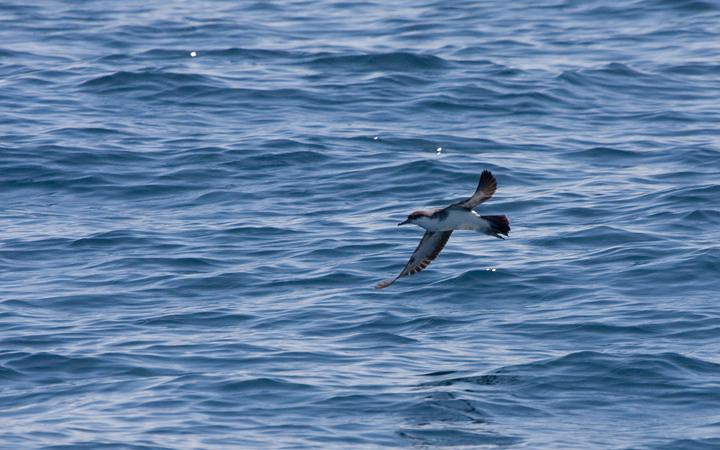 Below: Well-fed Greater Shearwaters reluctantly take flight as we approach (Maryland, 8/16/2009). 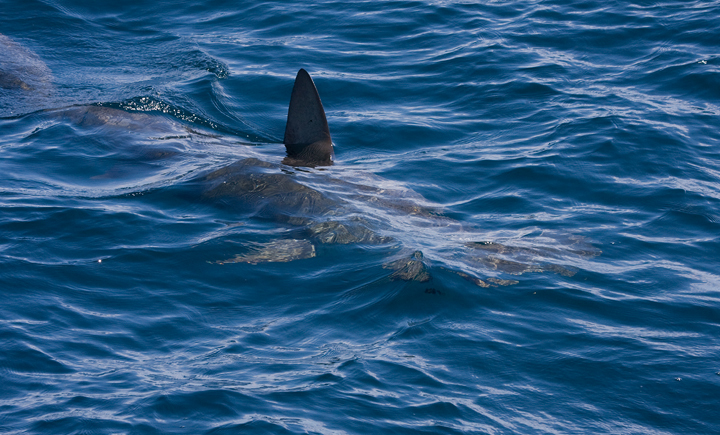 Below: Close views of this large Scalloped Hammerhead Shark were yet another unexpected highlight (Maryland, 8/16/2009). 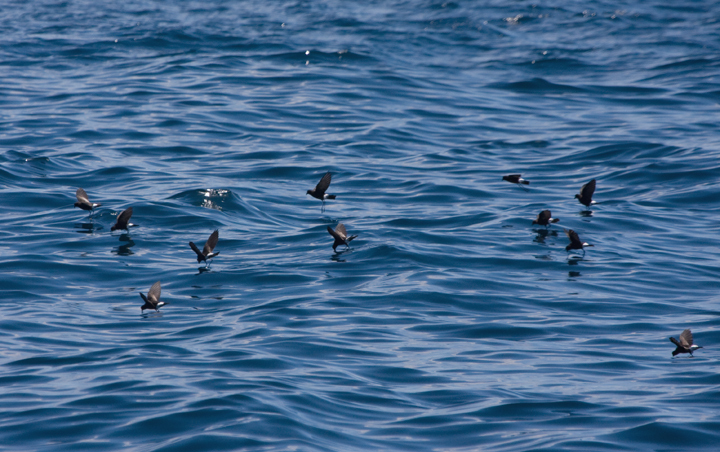 Below: One of many mixed roosting flocks of Cory's and Greater Shearwaters (Maryland, 8/16/2009). 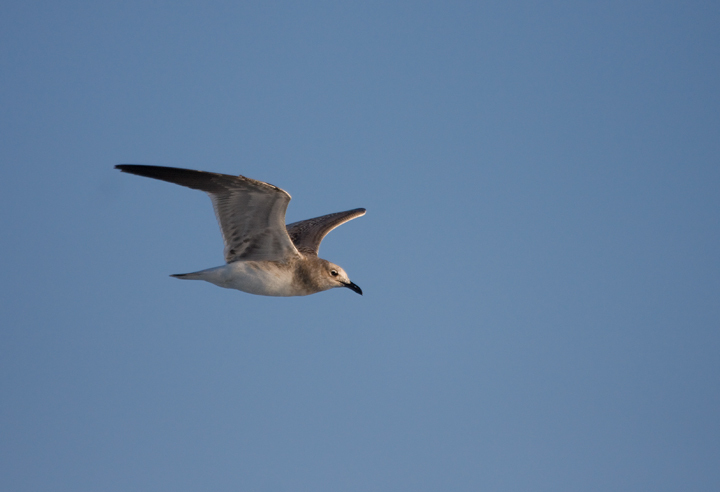 Below: A juvenile Laughing Gull soars behind the boat in coastal Delaware waters (8/16/2009). 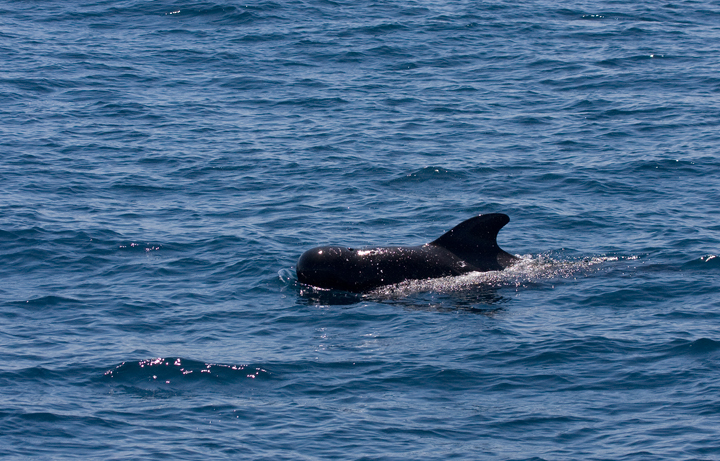 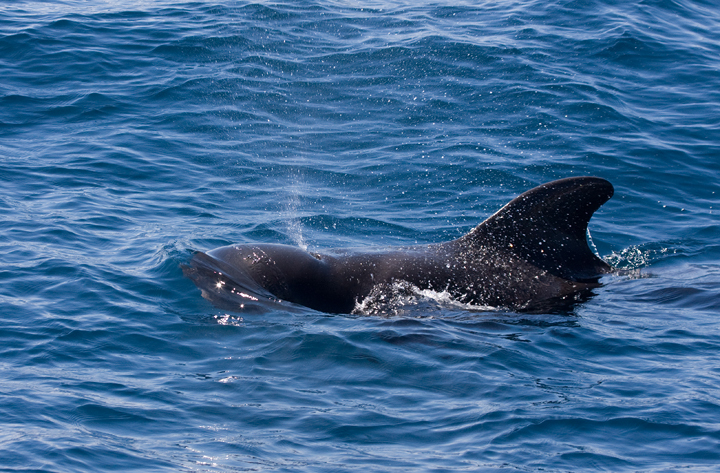 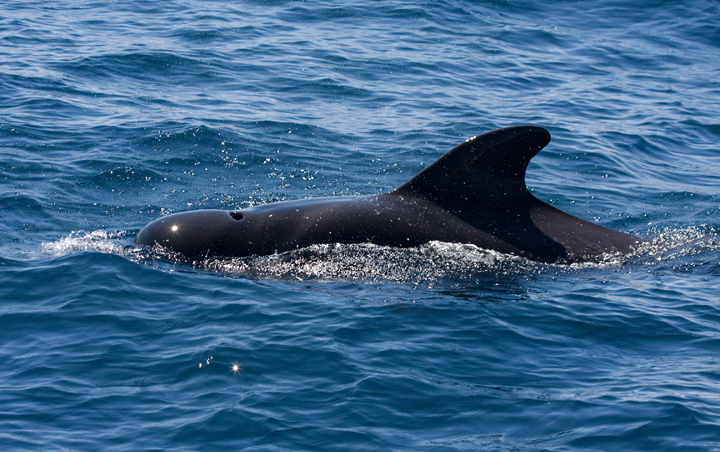 Below: A large pod of about 75 Pilot Whales in Maryland waters (8/16/2009). 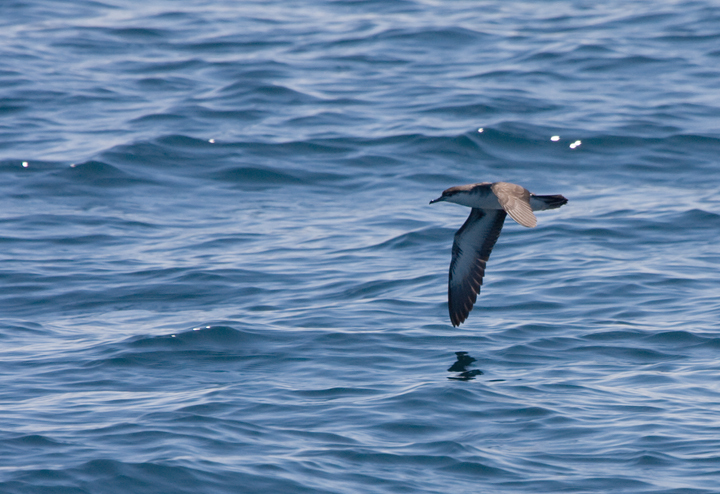 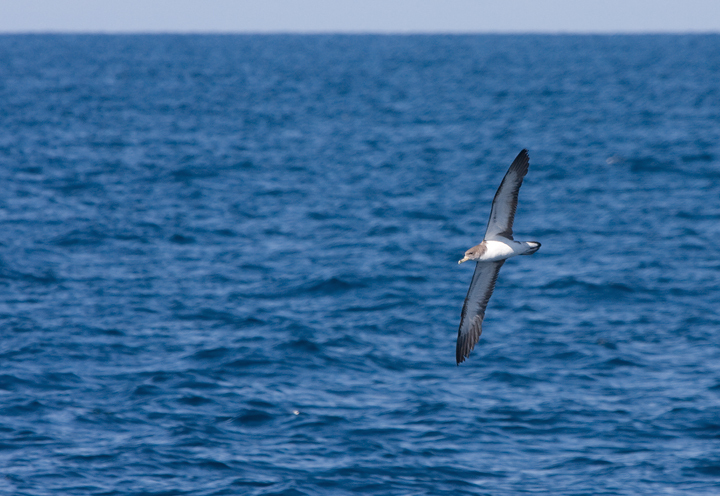 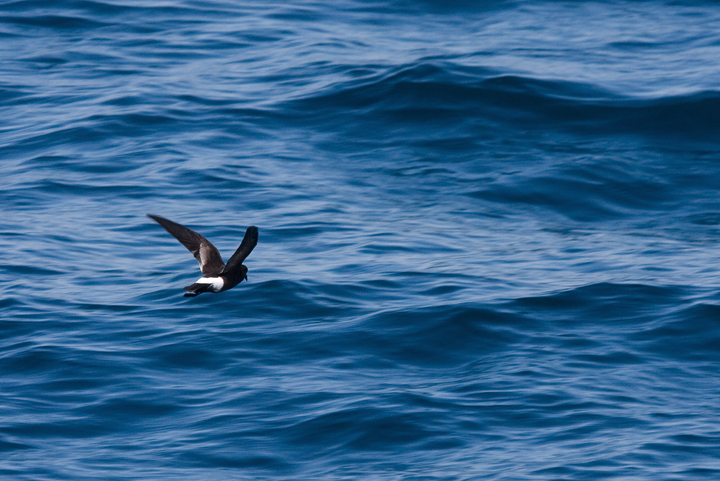 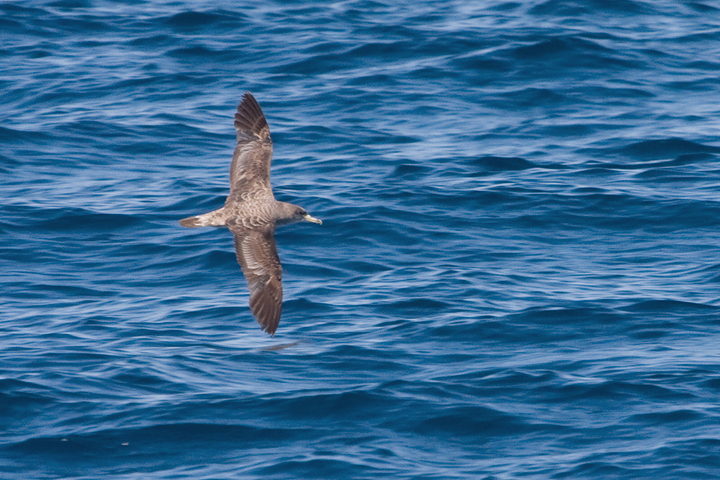 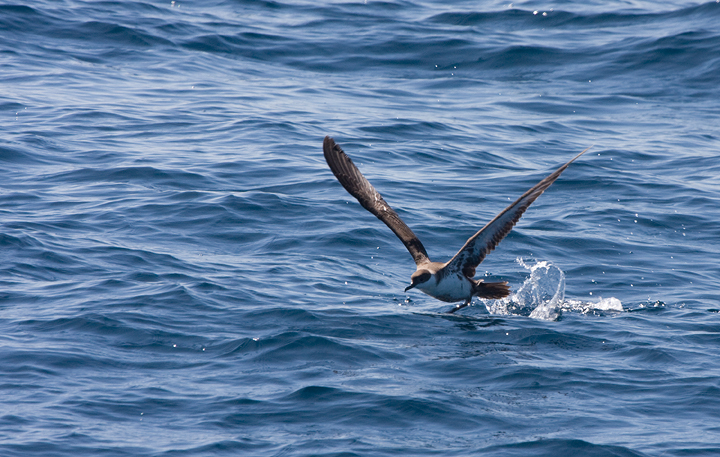 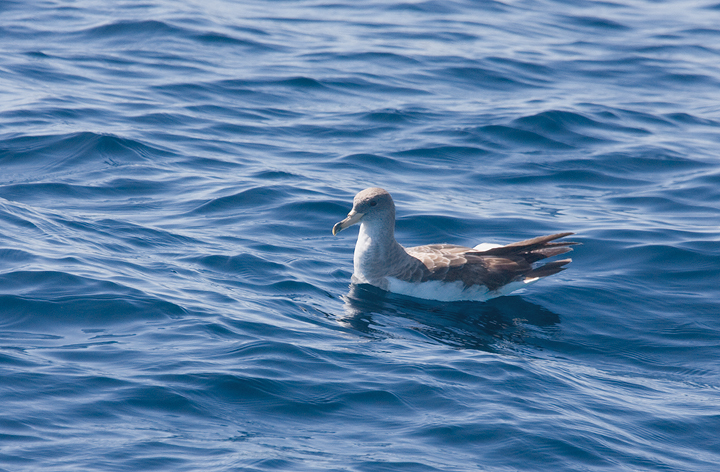 Below: An Audubon's Shearwater near Baltimore Canyon offshore Maryland (8/16/2009). 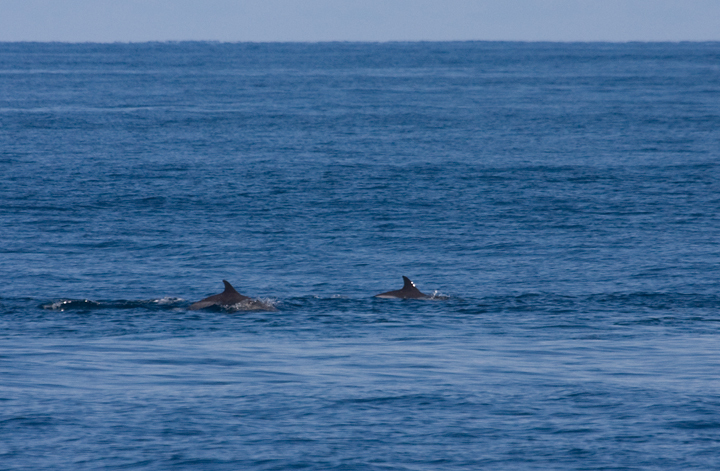 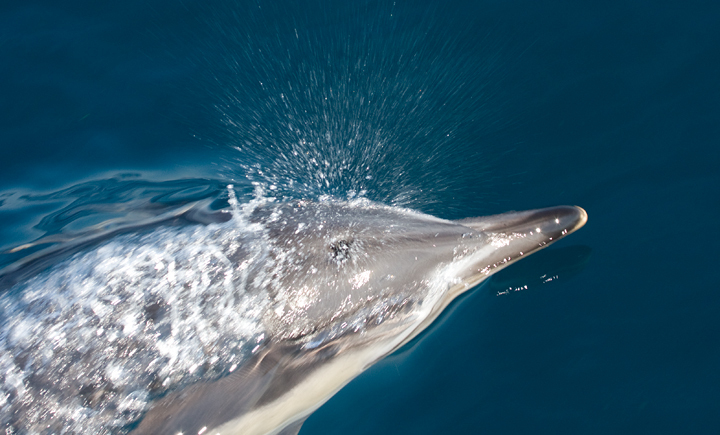 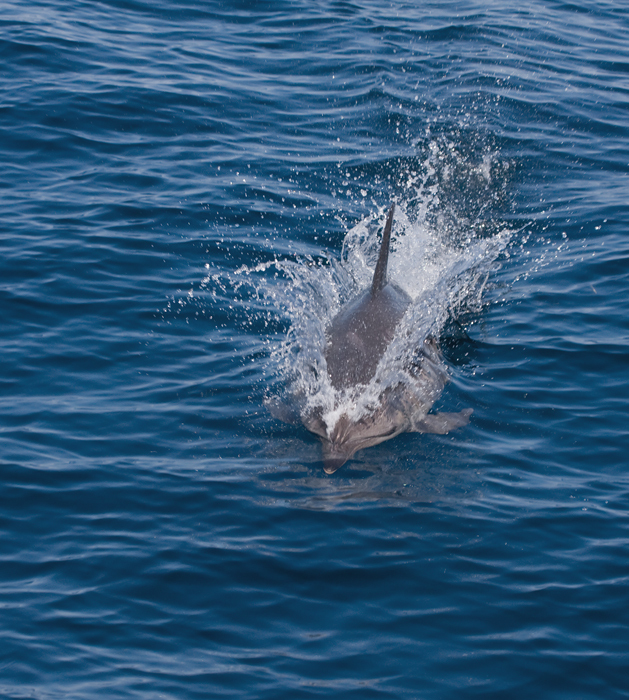 Below: These Common Dolphins escorted their tiny youngsters to inspect our boat and play in the wake (8/16/2009). 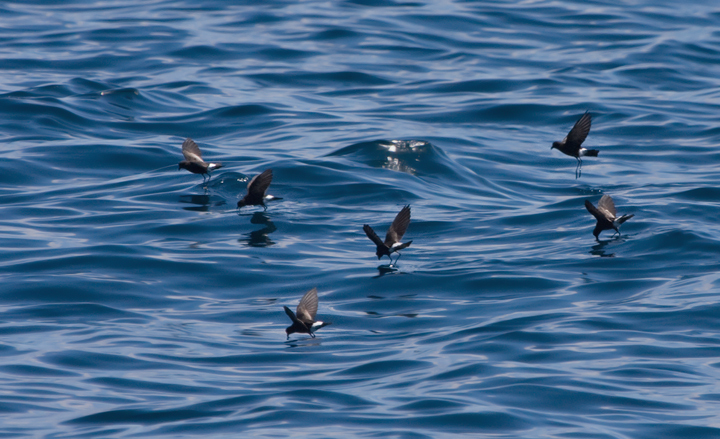 Below: Several of the hundreds of Wilson's Storm-Petrels observed in Maryland waters (8/16/2009). 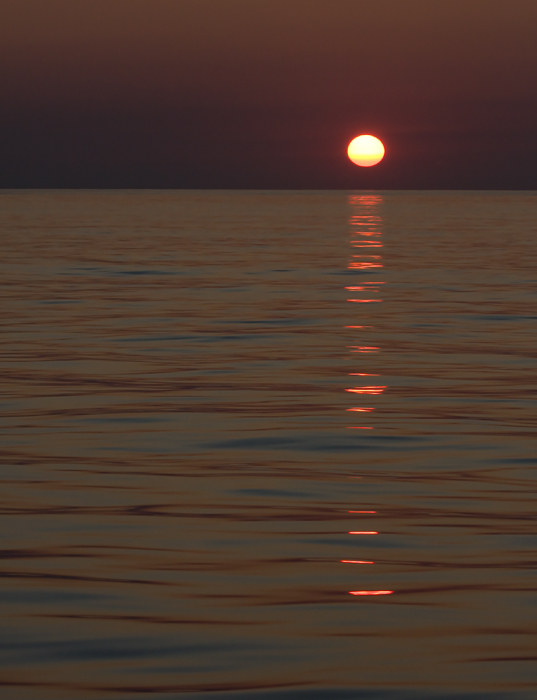 Below: The sun rising over the Atlantic as the Thelma Dale V gets underway from Lewes, Delaware (8/16/2009).